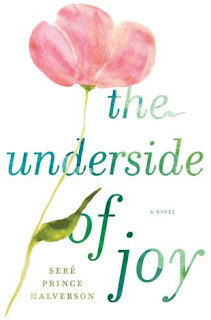 Today we welcome debut author, Seré Prince Halverson, and her novel "The Underside of Joy" (reviewed here). 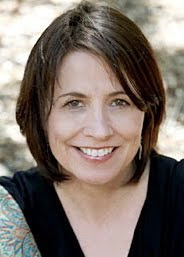 Seré worked as a copywriter and creative director for 20 years while she wrote fiction and raised kids. She and her husband have four grown children, and live in Northern California. 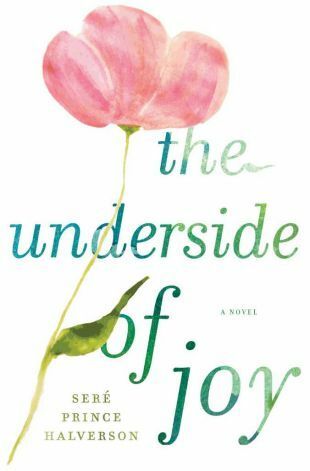 Thanks to Penguin and KMSPR, we have one copy of "The Underside of Joy" to giveaway to a lucky reader anywhere in the US. You can find Seré at her website, blog and on Facebook. My dear friend, Elle Newmark, wrote two gorgeous date scenes in her novel "The Sandalwood Tree." One involves a couple in the 1940s and a moon dial. The other takes place in India, and includes a Victorian woman waiting in the dark, a Sikh arriving on horseback, and a small chest filled with silk moths. Not your average dinner and a movie. I’m loving all the couples on Parenthood right now. The first time my husband took me camping. He made this delicious dinner—stuffed pork tenderloin and ravioli with a pepper cream sauce, a salad, even dessert. It worked. The next year, all the kids came so the ambience was a bit different. But he still makes me amazing dinners on a regular basis. This is a fun one. Stan and I met in 8th grade history class. I was the new girl and immediately developed a big crush on him but he already had a following, which included more than a few pretty blonde cheerleaders. I didn’t get to really know him well until our senior year, and he asked me to the homecoming dance. We both wrote in our yearbooks that it was one of the best nights we’d ever had, but there was one of those weird high school miscommunications and we didn’t go out again, though we remained really good in-crush friends. Flash forward to our 10-year high school reunion. We were both married to other people. We introduced our spouses, talked a bit, and went on our unmarried-to-each-other way. Flash forward to our 20-year high school reunion. We’d both been divorced for three years. We both had two kids. We were the last to leave the reunion. At the picnic the next day, I brought my boys. Stan, smart guy that he is, horsed around with them, and later helped me tuck them into the car, so we could make the 10-hour drive back to San Diego. As we were leaving, my youngest, who was eight, said, “Mommy? You gotta maewwy that guy.” I told him that protocol required that guy to call me and ask me on a date first. And I reminded my son that Mommy wasn’t going to get married again. But when we got home, the phone was already ringing like blessed church bells. Oh, this is easy, though it will be another long answer to a short question. When I was a kid, living on the Puget Sound in Seattle, my mom taught me about wishing rocks. They’re rocks with an unbroken circle of white. Close your eyes, make a wish, and throw the rock into the water. When Stan and I were first getting reacquainted, we were walking along the beach (sorry for the cliché) and I told him about wishing rocks. So he started collecting them for me, and by the time we got married four years later, we had a boatload. I wrote up a story (how unusual of me!) about our family and the rocks and printed it up on cards. We even had a circle of six wishing rocks(each circle on the rock part of the bigger circle) on our wedding invitation. The guests received wishing rocks when they arrived. We got married in a big circle, our four kids beside us, and family and friends around a beautiful pond on my sister-in-law’s property. At one point in the ceremony, everyone made a wish for us and threw their rocks into the pond. I wasn’t sure how it would go, but it was such a poignant, lovely moment—we felt all those unbroken circles and good wishes from our loved ones as the rocks splashed into the water. Mark Darcy from Bridget Jones’ Diary. The Colin Firth version. This isn’t romantic, but it’s sweet. I remember making homemade Valentines with my boys when they were little. They were all boy, but they loved art projects, and the messier the better. We went all out with the white doilies and red paper and Victorian stickers. They put their hearts and souls into them and were so proud to take them to school. Now they’re big college guys, but they’re still sweet. Special thanks to Seré for her long, but lovely answers to our questions and to Dutton for sharing "The Underside of Joy" with a lucky reader. 1. Please tell us: What is your most memorable date? My most memorable date is when the boy took me for my birthday on a vineyard tour soon after we made the big move to Northern VA. I loved reading the story of how she met her husband. Those class reunions are something else! My most memorable date was the first date I had with my husband - not because it was unusual or lavish, but because it was highly anticipated. A trip to the amusement park, I was semi-dizzy afterwards, but the best thrill I've had in years! My most memorable date was when I was in my early twenties. My date took me to hamburger place. As we were eating, we heard, "Vroom, vroom, vroom". It was a large group of the Hell's angels. They entered the place and my date started trembling. He was scared to death. He wanted to leave immediately. I told him that I wanted to finish my sandwich, partly because I was curious about them. I wanted to see how they dressed and what food they wanted! Looking forward to reading this new author's work. Thanks for the chance to win! My most memorable date was going to a concert to see Frank Sinatra. My most memorable date was the first one with my now husband. We didn't click right away but we had tons of fun anyway. My most memorable date was the night I went out on my first date with my husband. We had been friends for ten years before that and I knew as soon as we went on our first official date that we would be together always. It was going to a museum. My most memorable date was going my first - going to a move with a boy I thought was so cute!! The most memorable dates never seem to be planned out and turn out to be the most fun! a hockey game...fun and exciting.